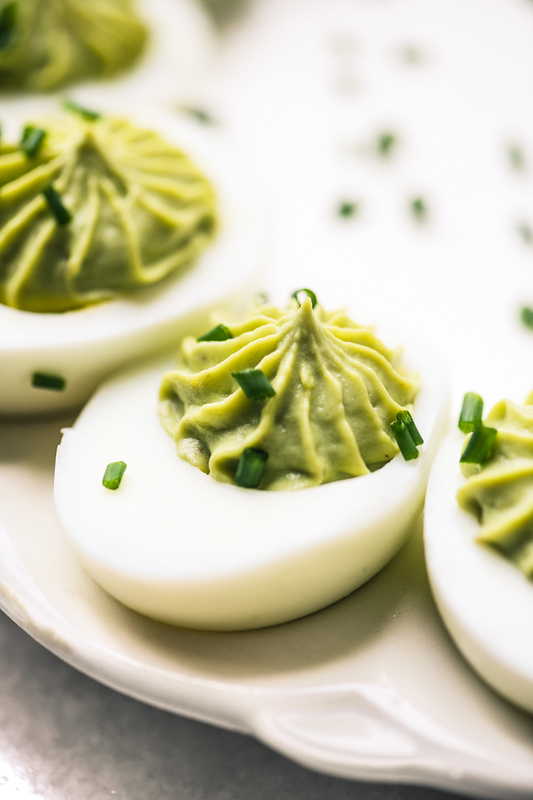 Guacamole Deviled Eggs are a fresh take on everybody’s favorite comforting appetizer, it’s amazing how a little tweak like adding smashed avocado, garlic salt, and lemon really takes them over the top. 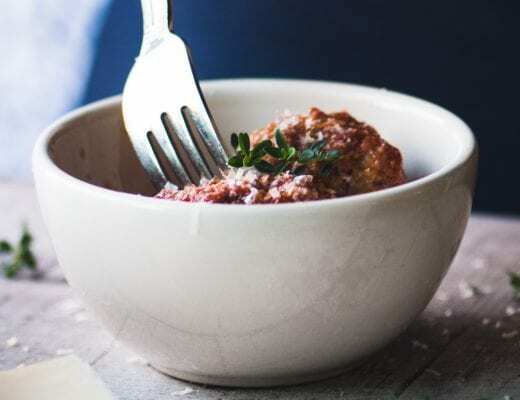 Serve ’em up on game days, and right through the spring holidays like Easter, Passover, and Cinco de Mayo. Can we all just admit it, deviled eggs are the best ~ I always perk up when I see these little appetizers waiting for me at a party. There’s nothing quite like the experience of sinking your teeth into a perfect deviled egg. The creaminess of the stuffing, the silky texture of the egg…it’s not a question of whether you want one, it’s how many do you want? Start with room temperature fresh eggs. Gently lower the eggs, one by one, into the boiling water. Set the timer for 8 minutes. Let the eggs boil gently, lowering the heat a little bit if necessary. Turn off the heat after 8 minutes, cover, and let sit for 5 minutes. Start with eggs from the fridge. Put the eggs in a pot and cover with water. Bring to a full boil, then turn off the heat, cover, and let sit for 15 minutes. So now you’ve got your perfectly boiled eggs, but we all know that’s only half the battle! 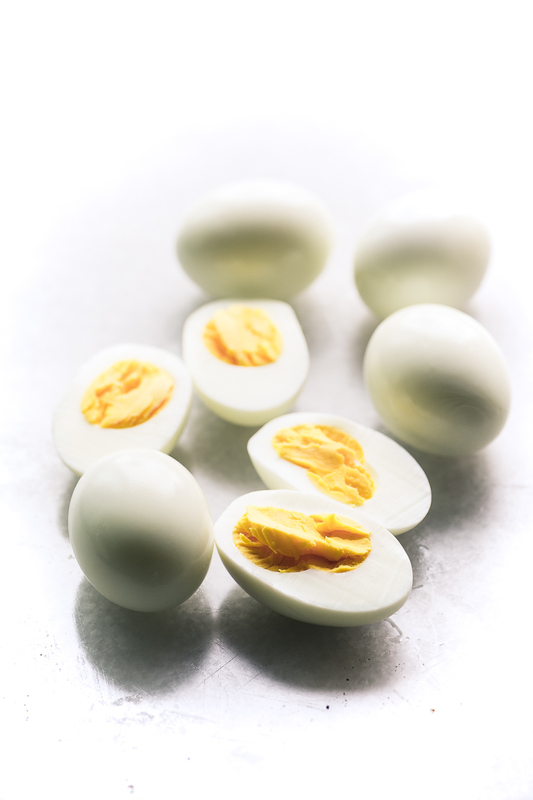 Drain, and rinse your freshly boiled eggs in cold water for a couple of minutes. With the eggs in a dry pan, shake the pan and eggs back and forth vigorously so the eggs bang against each other and the sides of the pan. Don’t be afraid ~ the little network of cracks is going to make peeling a breeze! 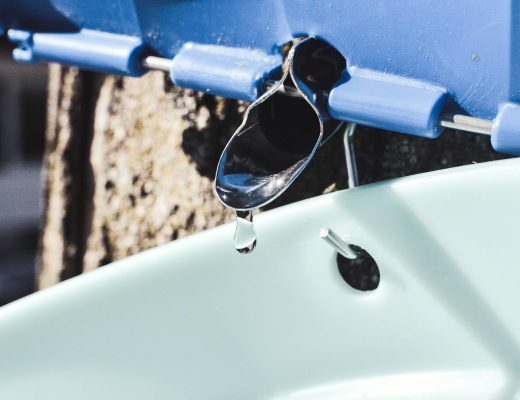 Peel the eggs under running water, the shells will practically fall off. Deviled eggs can be made ahead. I like to assemble them the morning of my party, and keep them (loosely!) wrapped in the fridge until they’re needed. If you’re going to garnish, do that just before serving, and served them chilled. My mom made her deviled eggs the old fashioned way, and just filled the eggs with a spoon, nothing fancy. But if you want to try for a little bit of an elevated look, spoon your guac filling into a pastry bag fitted with a large tip. It’s so easy to fill each egg with a twist of your hands, and they look so pretty. I used the same large pastry tip to pipe the mashed potatoes onto my Cottage Pie, and I just love the effect. Note: I used the Wilton 6B open star tip for my eggs. You might be thinking, noooooo, I don’t need another thing to store in my already crowded cupboards. But here’s the thing, it’s almost impossible to serve deviled eggs without the right platter, they’ll slip and slide all over a regular plate. Since the spring holidays come around every year, I’ve gotten lots of good use out of my vintage thrift store plate. You can find inexpensive examples on Amazon like the one above. This decorated Polish plate is beautiful, and I love these Mexican Talavera egg plates, too. Have more modern taste? This one is cute. 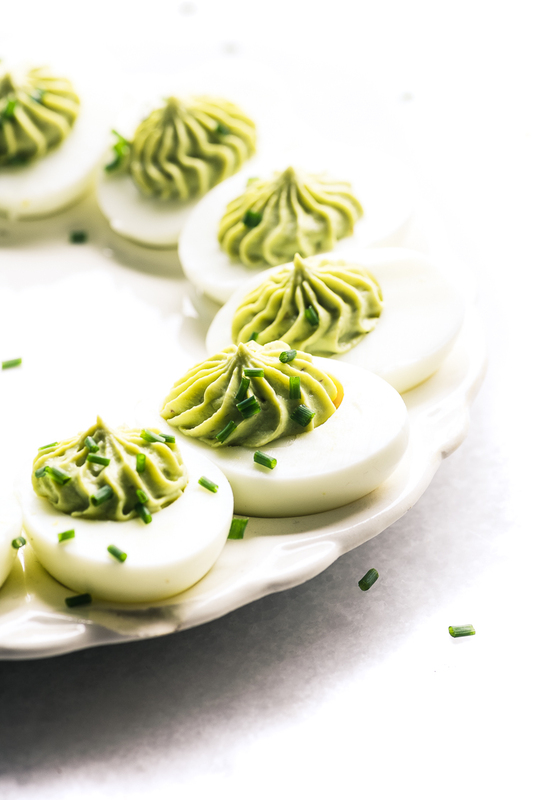 Guacamole Deviled Eggs are a fresh new take on everybody's favorite comforting appetizer. Slice each egg in half lengthwise, and pop out the yolks. Mix the freshly mashed avocado with lemon juice to prevent browning. Put the yolks, mayo, and avocado in a small bowl. Use an immersion blender to blend the mixture until smooth and creamy. Season with salt or garlic salt to taste. Add more lemon if you like. Alternatively you can blend the mixture in a small food processor, scraping down the sides of the machine as necessary. Fit a pastry bag with a large star tip and fill the bag with the mixture. Pipe the filling into the hollowed out egg halves. How about a sprinkle of crumbled bacon on top instead of the chives? Yum. Or try finely minced jalapeños. 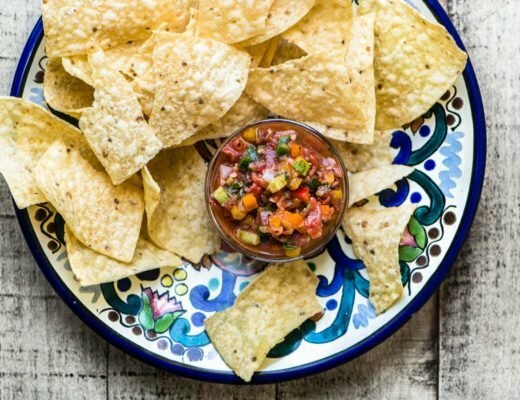 Not a guac fan? 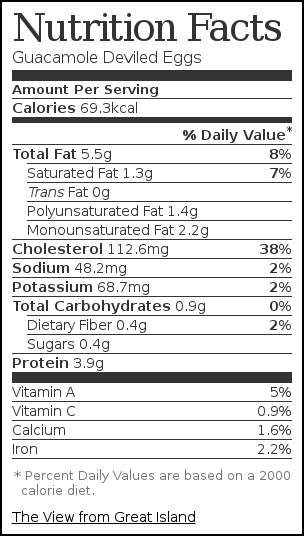 Try adding an equal amount of hummus. So pretty!! It’s so funny! I made these last year and never posted them. Still in my drafts- one day I’ll grt to them! These are beautiful eggs!! This is a great idea!! I love deviled eggs and avocado! The texture sounds perfect as well! These sound delicious, and yes, deviled eggs are the best! 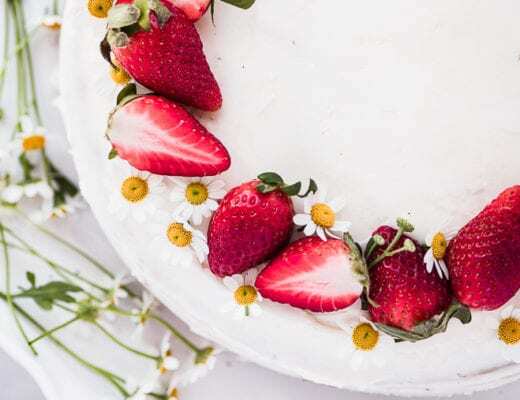 Perfect as we enter into spring and summer — I love them for brunch. The green avocado makes them so pretty, and your pictures are so stunning! 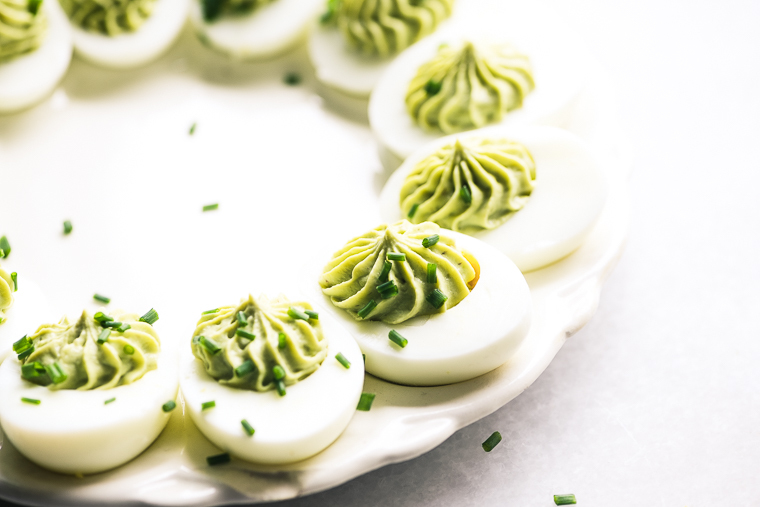 I love guacamole and I love deviled eggs! The idea of them together makes me want this ASAP!!! Interesting option for a party platter. Looks cute and yummy. I agree, they make the most beautiful platters, and there are so many variations you can come up with. Now THAT’S a deviled egg! 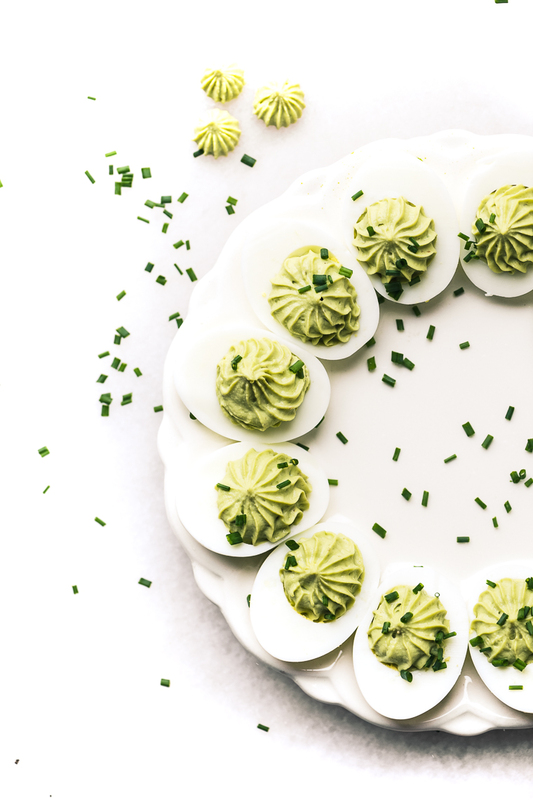 I love your avocado twist on these eggs, it gives them such a springy shade of green! 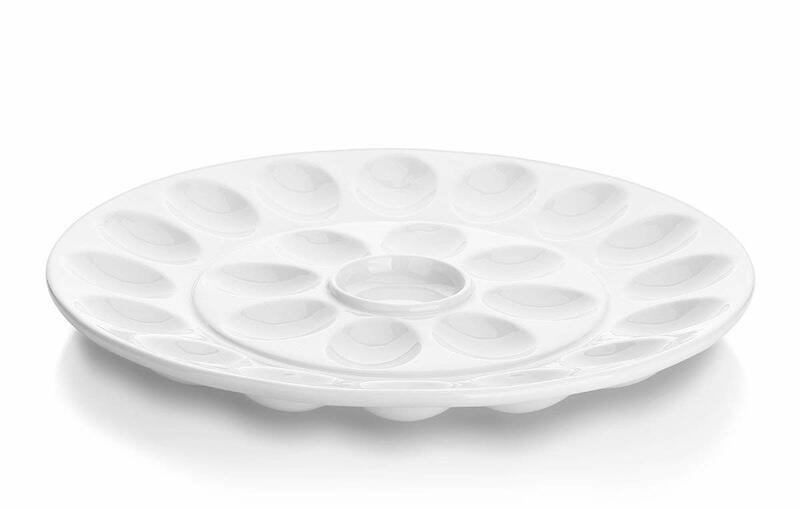 I’ve never invested in a deviled egg tray (but I think you’re right, I’m going to have to).